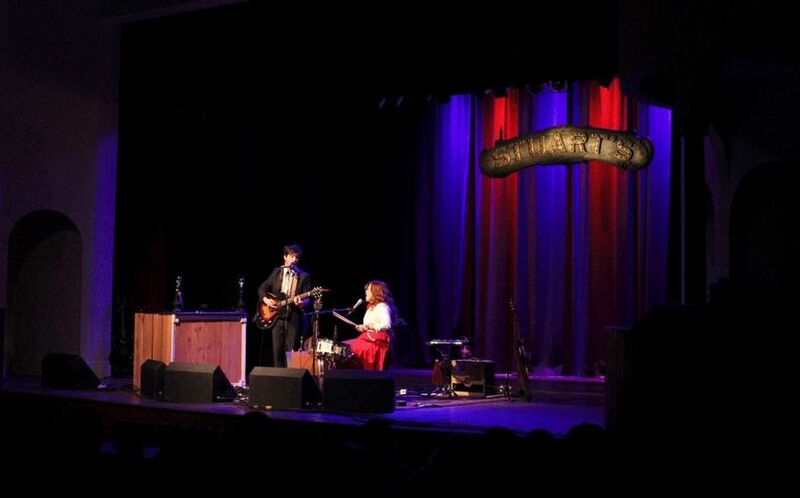 Stuart’s Opera House is a wedding venue located in Nelsonville, Ohio, that serves the Columbus region. They offer couples a gorgeous, historic venue to host their wedding events. This theater offers couples a stunning space to spend time with friends and family during their special celebration. The gorgeous indoor lobby and opera house allow couples to host large and small gatherings that they and their guests will remember for years to come. 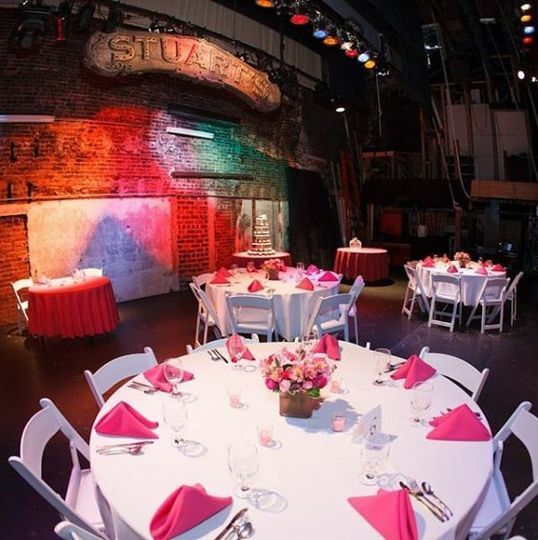 Stuart’s Opera House can hold up to 250 people for ceremonies, receptions, bridal showers, engagement parties, rehearsal dinners, and elopements in their lobby and 395 people in the opera house. 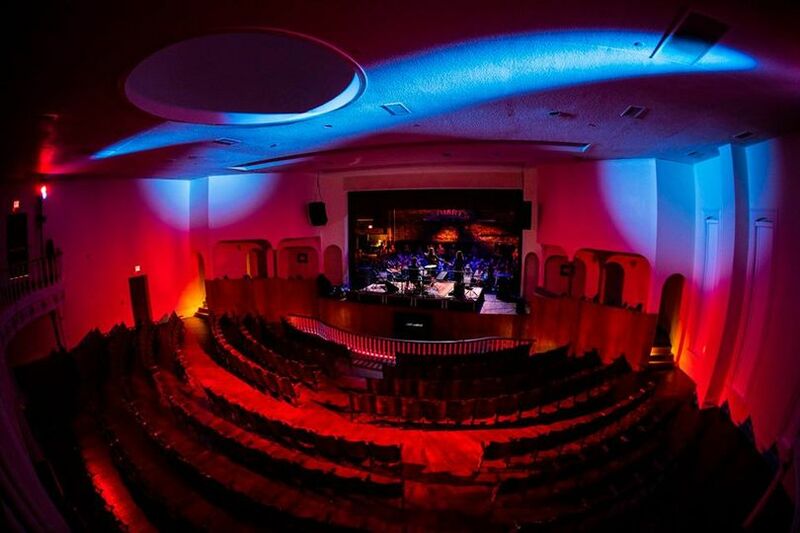 This theater is more than 130 years old and is a perfect place for you to hold your wedding events. The expanded new lobby allows couples to hold receptions in a wide, open space so they and their guests feel comfortable in a private environment. Oak hardwood floors and mahogany doors will give your event a touch of class and sophistication all will admire. 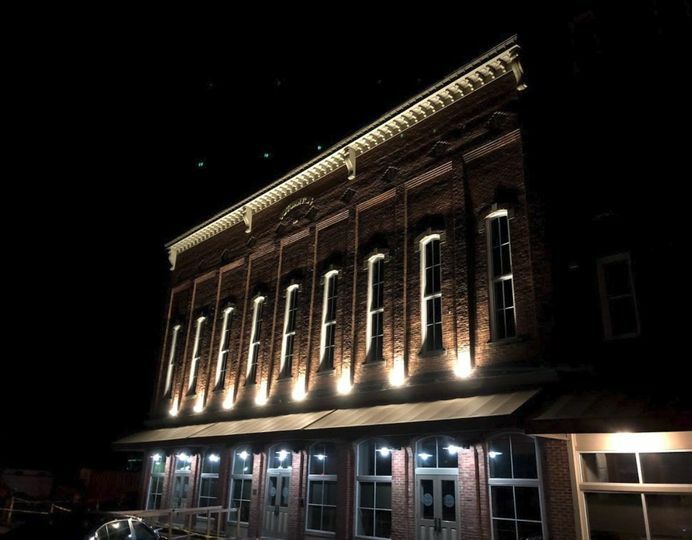 Additionally, couples will appreciate not only the tastefully ornamented, inviting indoor area but also the building’s beautiful exterior, with wall-wash lights and red brick. The lobby also has a bar area and attached kitchen for in-house bar and catering services that your vendors may use. They also have a multi-purpose room and additional spaces. Stuart's was the perfect wedding venue for us. My heart was set on an Athens-area wedding, and really wanted to lean into it's local charm (that I love) -- looking for a little more character than university space, but a little more infrastructure than a barn. I was so excited when I realized Stuart's Opera House was expanding their lobby space! The finished product is gorgeous, open space with tons of natural wood warming it up and giant windows that offer great natural light, and it feels really authentic to the history of the building, which I loved. I spent very little money on additional décor as it really wasn't needed! I thought their rates were really reasonable too, and Brent was so wonderful to work with! He was super patient with and responsive to all of my (and my mother's, which I will forever appreciate) crazy wedding-planning questions, concerns, and requests, and worked with us to pull off exactly what I wanted. Our reception was a blast and I couldn't have been happier with my experience with this venue!